Del Mar Mesa Neighborhood Park is a unique park located in the hills of Del Mar Mesa near the intersection of Duck Pond Lane and Del Vino Court (formerly Carmel Mountain Road) and totals approximately 3.7 acres. The park features a multi-purpose turf field, basketball court, horse corral and children’s play areas. 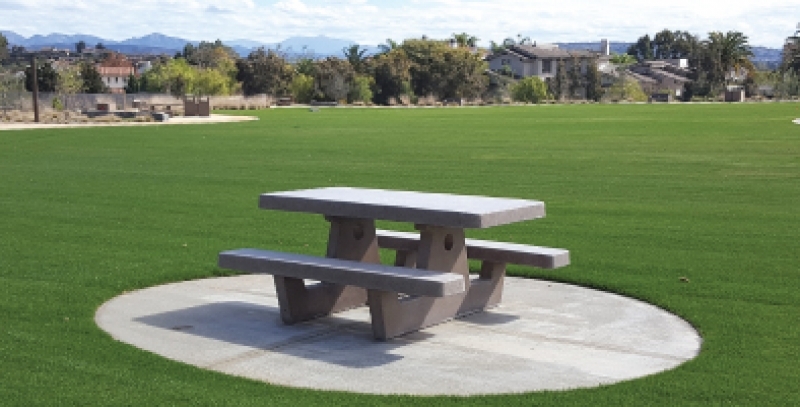 The park is furnished with Outdoor Creations' precast concrete furnishings including the new childrens size picnic tables (#115FSS). This park was a test case for the kids picnic table and they've been a big hit with the community. 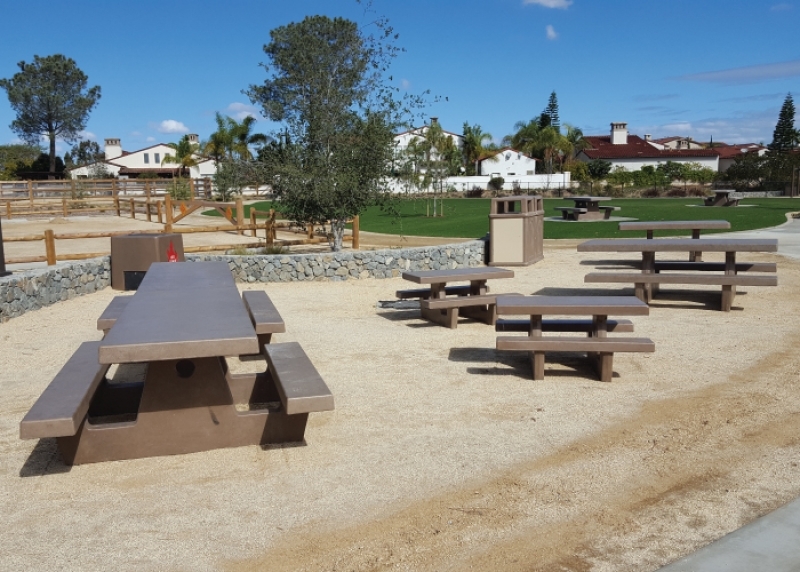 The furnishings at the park include benches, trash receptacles and full size concrete picnic tables! The park opened in January of 2018 and has become a great addition to the surrounding neighborhood.